Milton Bryans | Where Angells Tread! A resumption of my ‘Luton’ obsession. Since September we’ve been walking our way around Luton. There’s not much to see in Bedfordshire so it’s my way to make it interesting. We’re up and out early. Indeed the first part of the walk is in the early morning gloom which is enjoyably atmospheric today. Starting from the village green at Toddington we splash our way west, across muddy fields still shrouded in mist. Our only company on the paths are lycra-clad runners. Milton Bryan is slumbering quietly as we trudge through. 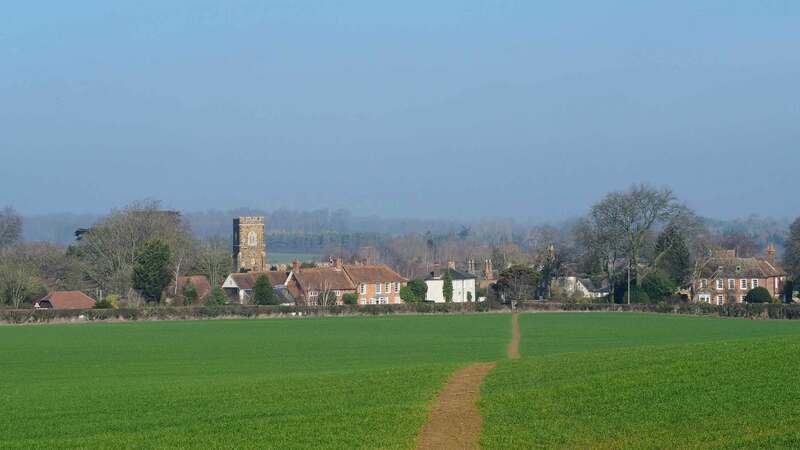 Its hard to believe this quiet Bedfordshire village was once the home to WW2 black ops! Hidden away here, in the heart of rural England, Churchill established a propaganda radio station that encouraged German soldiers to surrender, shared misleading instructions with civilians and played Jewish music that Mr Goebbels couldn’t stand. Leaving one encounter with history behind we stumble into another at Church End, Eversholt. The red bricked cottage in front of the church was once the home of Frank Wild (if only for a few years in the late 1880s), polar explorer and Ernest Shacklton’s right hand man. It’s difficult to image how these big fields and gentle hills prepared him for probably the greatest Polar escape story of all time! By now the temperature is far from Polar. The sun has burned off the early morning mist and by the time we’re back at Toddington its pleasantly warm…and walking in Bedfordshire turns out to be more enjoyable then I had been expecting, at least, this morning anyway. A thoroughly enjoyable 8.4 miles.